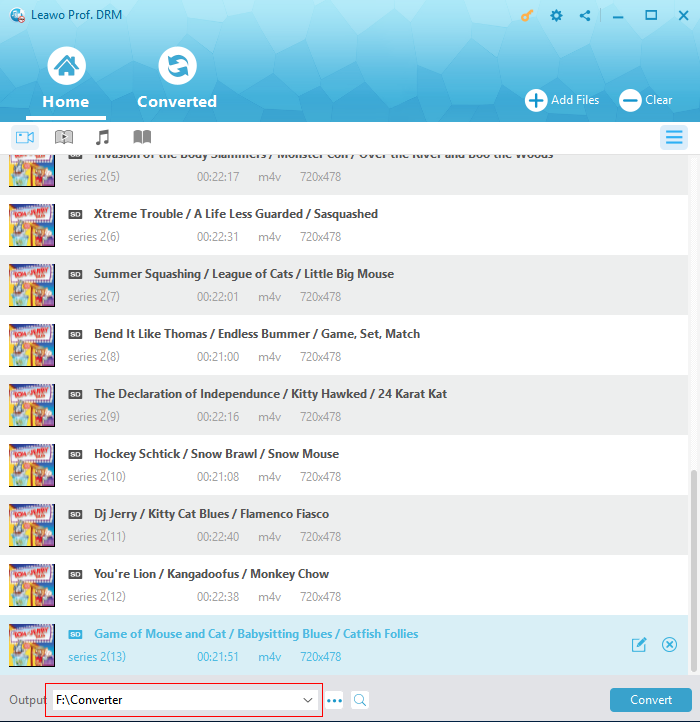 This post will show you how to play iTunes movies on BlackBerry PlayBook. The BlackBerry PlayBook is a tablet developed by BlackBerry. Announced in 2011, this mini tablet computer was only available in Canada and the United States. The BlackBerry PlayBook has some very unique features. It’s the first tablet that runs the BlackBerry Tablet OS and it runs apps that are developed using Adobe AIR. And it can also run apps developed for Android devices, but they are only available in BlackBerry’s own App World store. The 1024*600 WSVGA screen with an aspect ratio of 16:9 makes it perfect for view HD videos. And it supports up to 1080P video playback. Video formats supported by the BlackBerry Playbook include: DivX, WMV, XviD and 3GP. iTunes is a great place to watch movies as it provides a lot of movies that just leave the theater. You can always find a movie on iTunes before its Blu-ray/DVD version is available and sometimes you can even see a movie that’s still in theaters. iTunes provides you with two options when you try to watch a movie on it. One is to rent it and the other is to purchase it. Both ways would allow you to download the movie to your computer. But the playback of the movie can only be within iTunes or an Apple device. There are no other video players or mobile handsets you can use to play the movies you download from iTunes. And that’s because of the DRM protections applied on the movie. So if you want to play iTunes movies on BlackBerry PlayBook, the DRM removal process is needed. The preceding has stated clearly that you need a DRM removal tool to help you remove DRM from your iTunes movies if you want to play them on the BlackBerry PlayBook. After doing a little research, I would recommend that you use Leawo TunesCopy Ultimate. It’s a powerful yet easy-to-use piece of DRM removal software developed to help iTunes media content subscribers to remove DRM protection from iTunes music, audiobooks and videos. 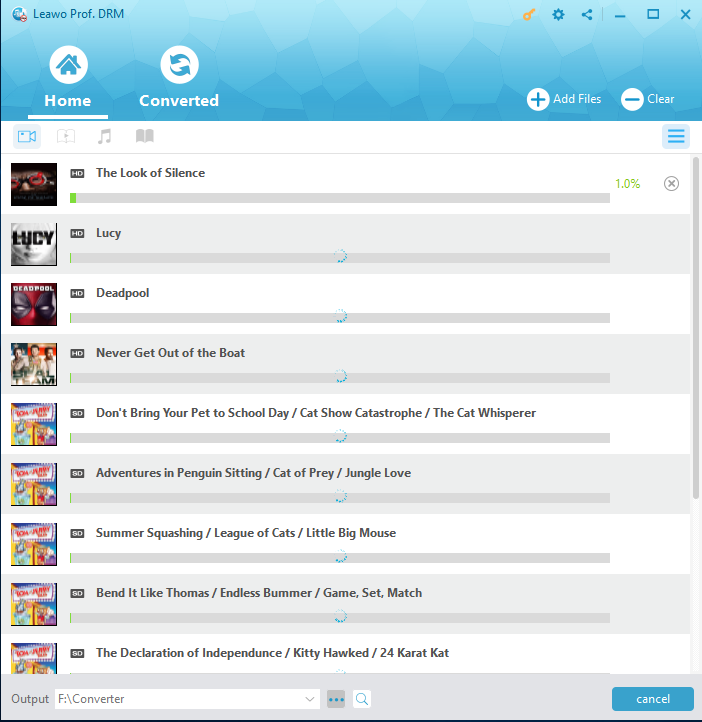 Also the recent update had made it even more powerful by adding the support for Audible audiobooks. Give this program a shot and you’d realize how great a job it’s done combining powerful features with simplicity. Below is the tutorial to show you how to use it to remove DRM from iTunes movies. 1. First thing first, you need to import your iTunes movies to Leawo TunesCopy Ultimate. Just start the program and you will see an Add Files button up at the top and one in the center of the blank area. Select one of them to open the Add File dialog box. Click Video label in the top left area and all the movies you download from iTunes will be listed here for you to pick. Choose those you’d like to play on your BlackBerry PlayBook and click Add to add them to the program. 2. Next thing to do is decide which audio track and subtitles you want to keep in the output video. You can choose to keep all of them, some of them or one of them. It’s up to you. 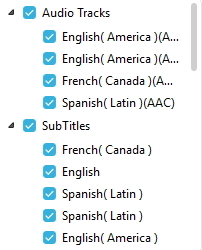 Just click on one movie to select it and when you see an Edit button on it, click on it and choose the audio tracks and subtitles you need on the following popup menu. 3. The default output path is down at the bottom of the interface. If you want to choose a new folder to store the output video, just click that button with 3 dots that sits next to the output directory box to change it. 4. When you are ready to let the DRM removal process start, find the Convert button in the bottom right corner and click on it to start the process. Wait for the DRM removal process to finish. When it’s done, your iTunes movie will be converted to MP4. From the spec chart of the BlackBerry PlayBook we can see that MP4 is not supported the device. So we are going to have to convert it to WMV in order to play on the BlackBerry PlayBook. Here’s what program you need to convert MP4 to WAV and how to convert it. 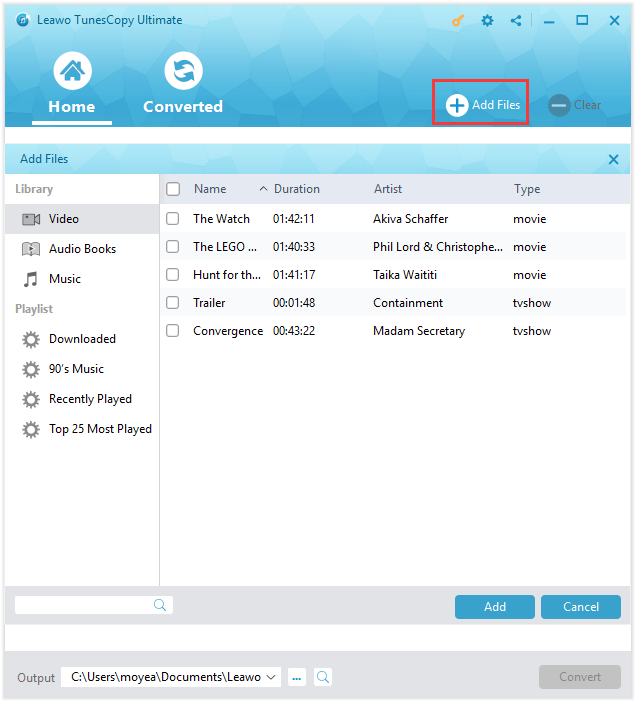 The program you need is called Leawo Video Converter. 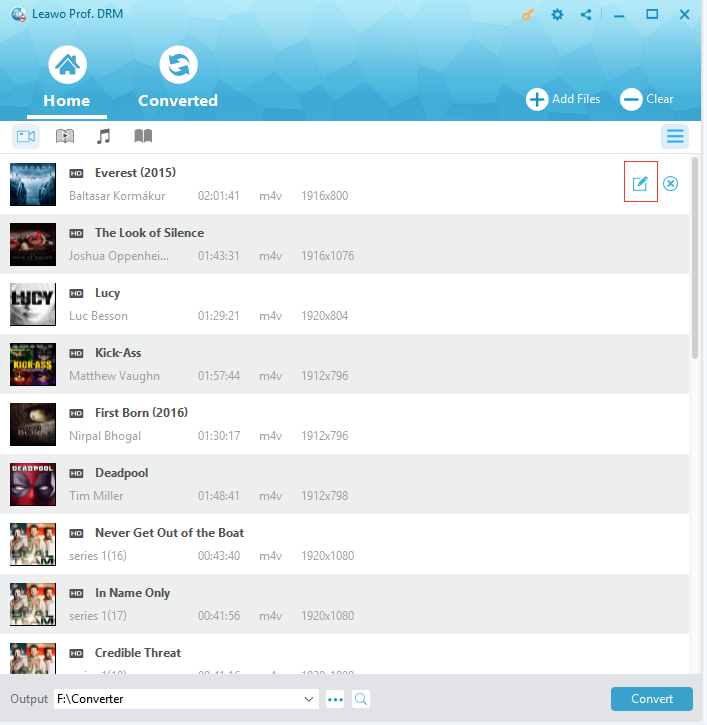 As an all-around software developer, Leawo Software has a lot of prestigious multimedia processing programs and Leawo Video Converter is one of them. Its support for 180+ video formats ensures that it can easily help you convert MP4 to WMV. Just leave the conversion job to it and you’d have nothing to worry about. Here’s something you should know, Leawo Software had integrated its Video Converter into a software package called Prof.Media. It will be bundled with other media processing modules. But it won’t affect the video converter module. 1. 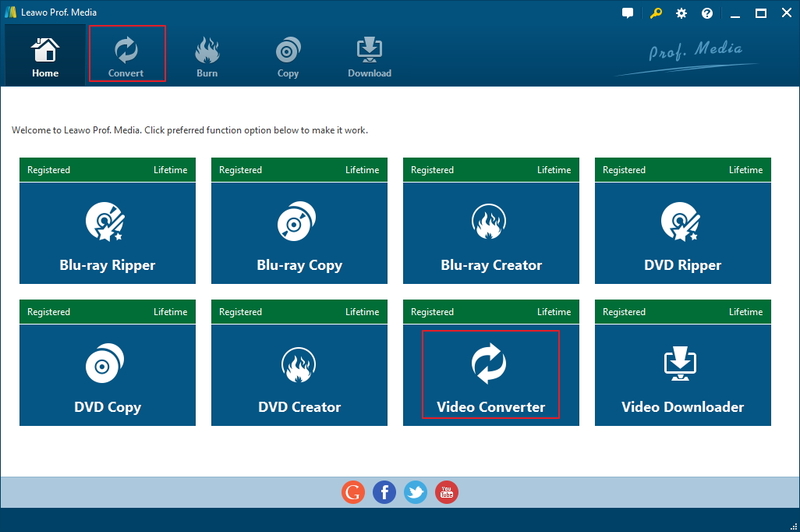 Firstly, start Prof.Media and you will see the Video Converter module as well as other modules in this program. Click on Video Converter as you see it to launch it. 2. Drag the MP4 movies you got after the iTunes movie DRM removal process to the blank area of the program to add them to the conversion list. Also there is an Add Video button that would allow you to do video importing as well. 3. On the right side of the Add Photo button on the top is a Format button that shows the default output format. To change it, click on this button and select Change to enter the format selecting panel. 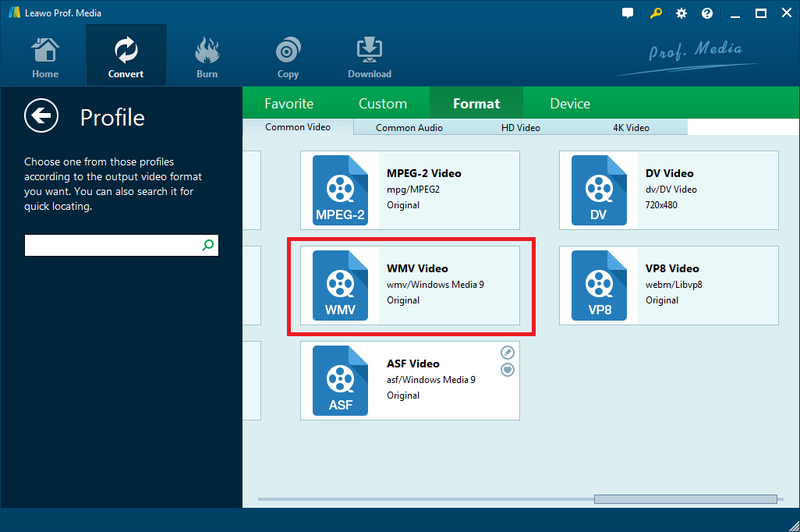 Find WMV from the available formats and click on it, and it will be set as the default format for the output video. 4. If you feel like customizing the video parameters, click on that Format button I mentioned above again and click Edit and it will take you to the video parameter customizing panel. 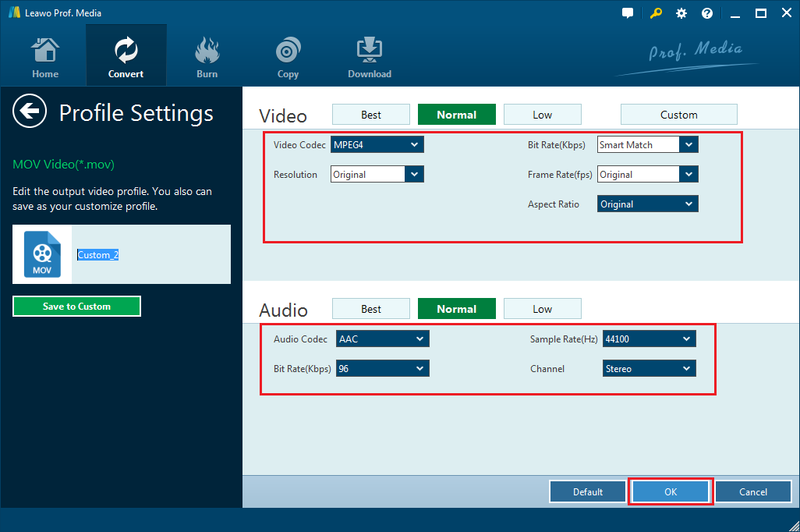 Here you can make adjustments to the video and audio parameters as you like. 5. Return to the file list when you are done with the above 4 steps and now it’s time for the conversion to start. See that green Convert button sitting in the top right corner, click on it and you will see a sidebar showing up from the right side of the video list. On it you can set where you’d like to store the output video. The output box is under the Save to label. If you want to change it, click on the “…” button that sits next to the box. And after finishing setting the output directory, click the Convert button that’s down at the bottom of the sidebar to let the iTunes Movie to WMV conversion start. Wait for the MP4 to WMV conversion to finish. And then you can start transferring the converted iTunes movie to your BlackBerry PlayBook for unlimited playback.